The WCAmini from A&D is a portable 4 channel noise and vibration analysis system. A portable and lightweight, USB bus powered unit - The WCAmini is small and light enough to fit into your travel case. Power can be supplied from the USB bus, allowing you to perform noise and vibration analyses anywhere. User-friendly GUI and WCA Lite with improved ease of operation - With enhanced operability, the WCAmini has adopted the same design concept employed in the highly reputed WCA. 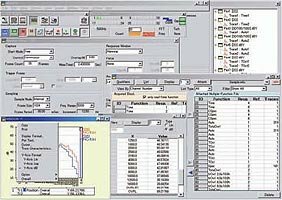 WCA Lite will enable simple operation of FFT and tracking analyses. Complete compatibility with the CompactWCA/WCAonPC (AD3600 Series) - A compatible user interface eliminates the need for additional training of existing users. In addition, data analysed in the past can still be utilized as data remains fully compatible because of the same MFU file format. WCAPRO has an easy-to-manage user interface that can be operated as a Windows application. WCAPRO provides real-time FFT analysis for noise and vibration testing. Optional licenses for integration real-time octave analysis and tracking analysis are also available. 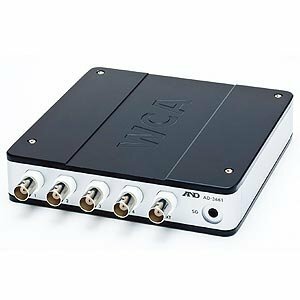 The system comes standard with a throughput collection function that allows continuous recording of time history data on a disk and repeated playback analysis. Off-line playback with a standalone PC is also possible (Optional).